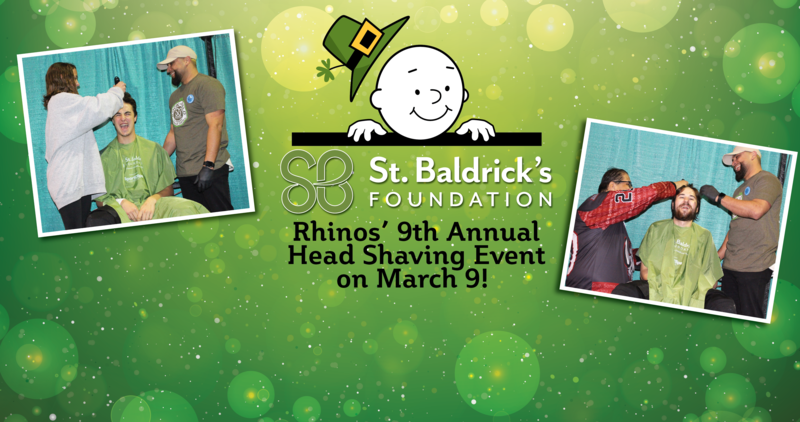 Young patients at Providence Children's Hospital got a little surprise Monday morning. 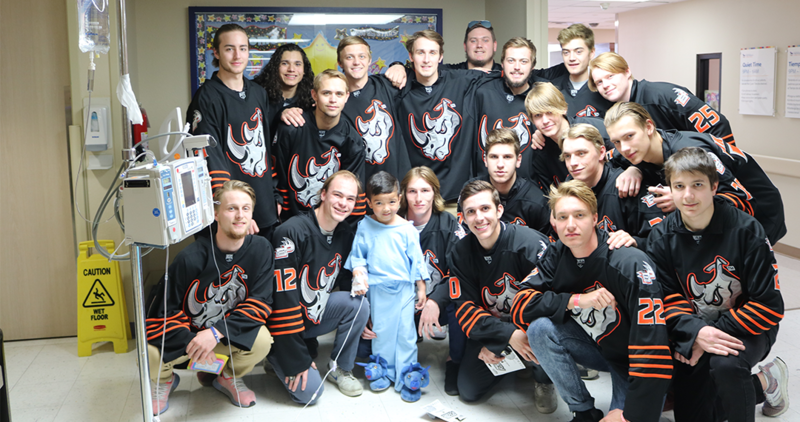 The El Paso Rhinos stopped by to spread a little cheer to the young patients. 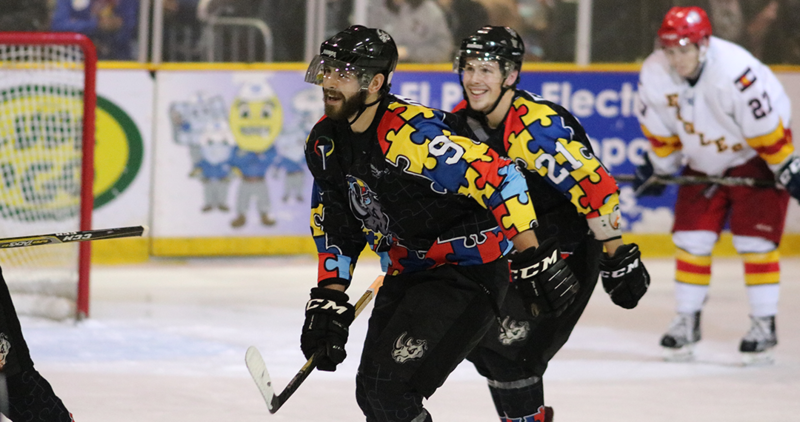 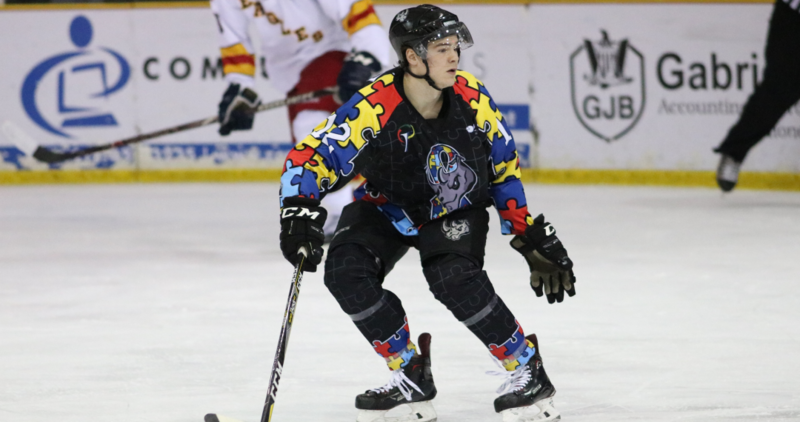 The Rhinos fell to the Blazers in game three but ended the series on a high note with the third annual Paint the Ice event! 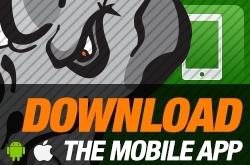 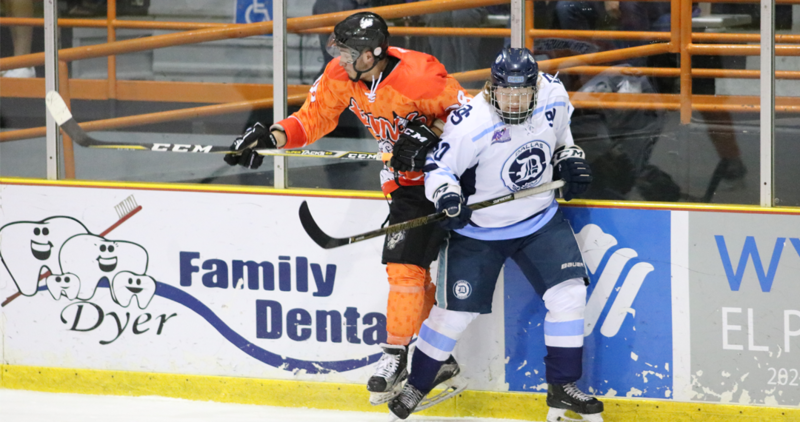 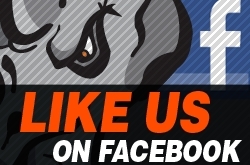 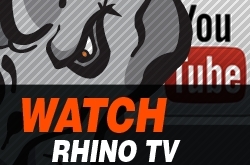 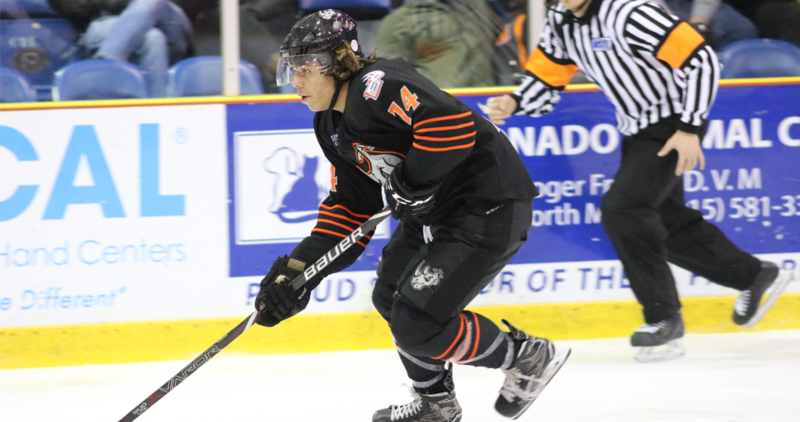 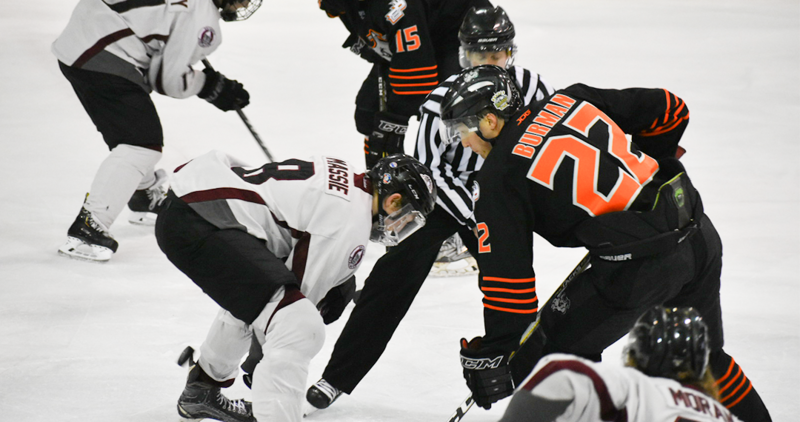 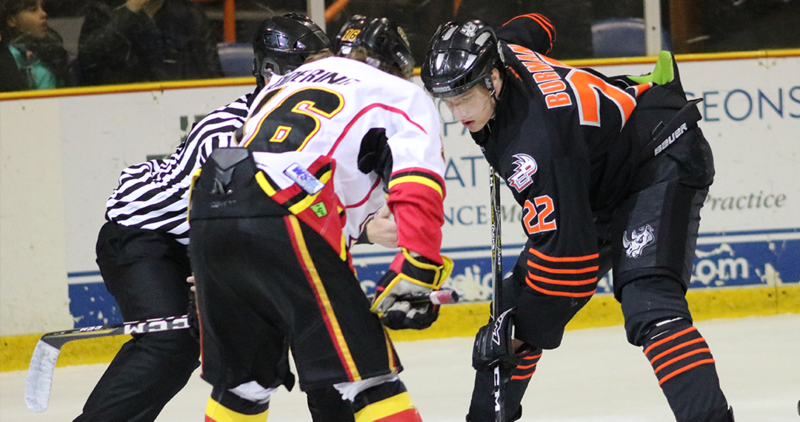 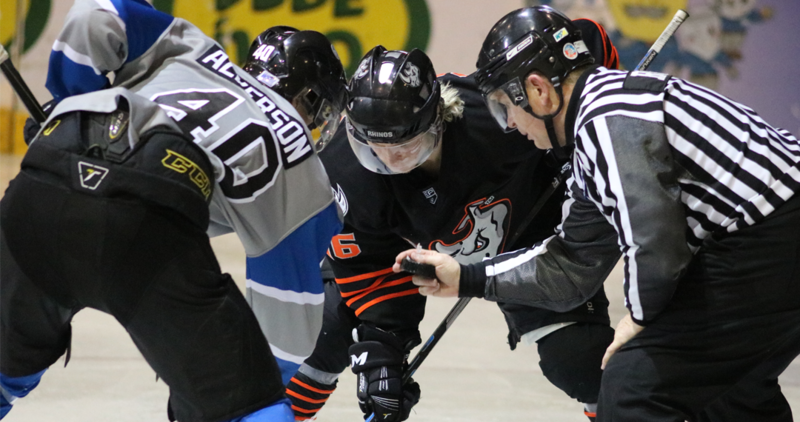 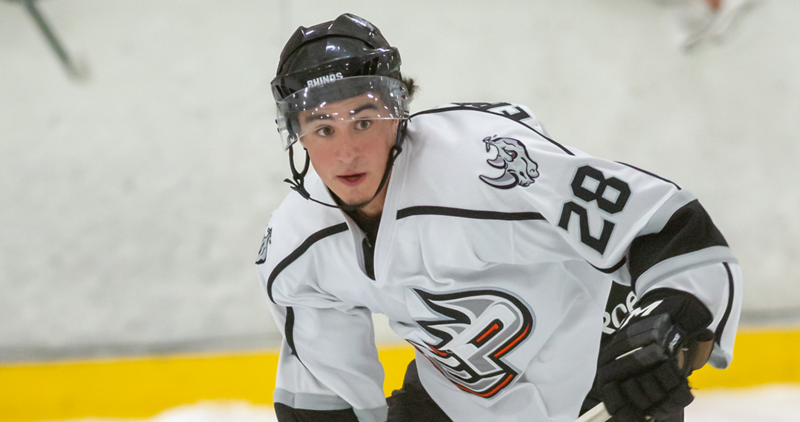 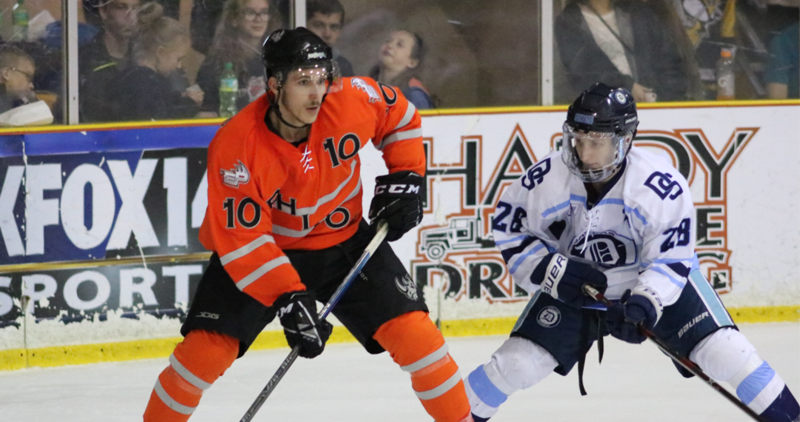 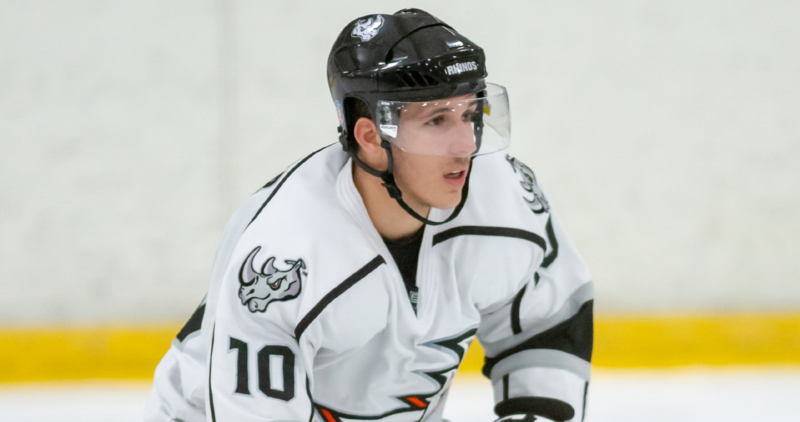 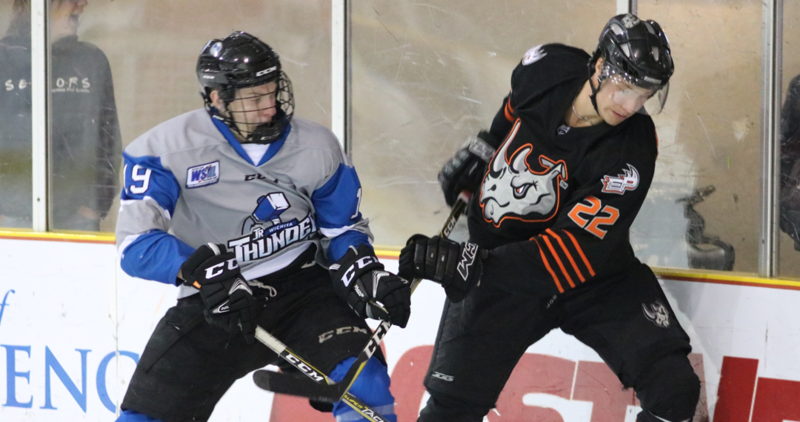 The Rhinos top the Oklahoma City Blazers, 4-1, in game two with the help of a pair of Max Kamper goals. 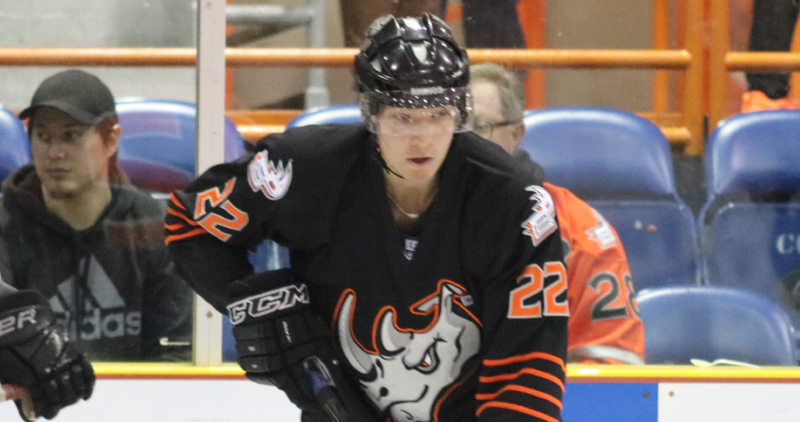 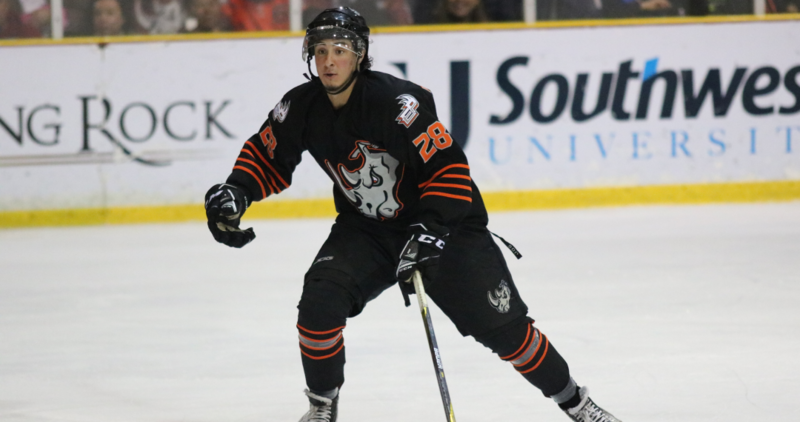 Jonas Burman's third period power play goal gives the Rhinos the game one win over the Oklahoma City Blazers. 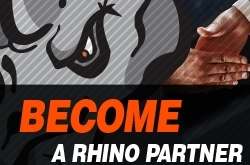 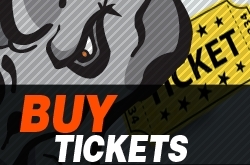 Playoff & Season Tickets on Sale! 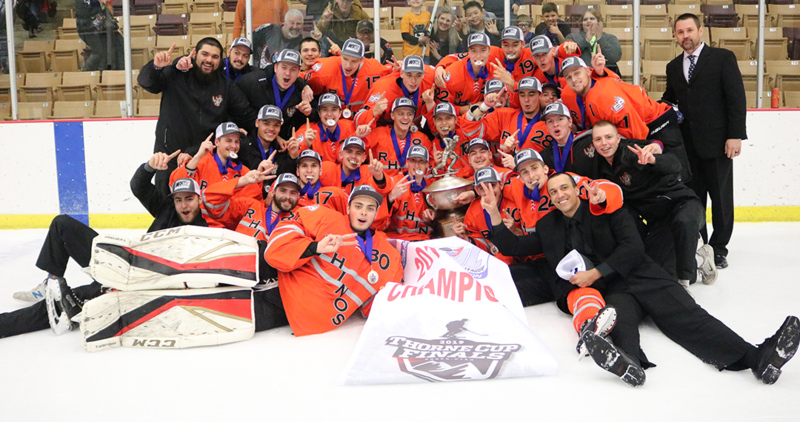 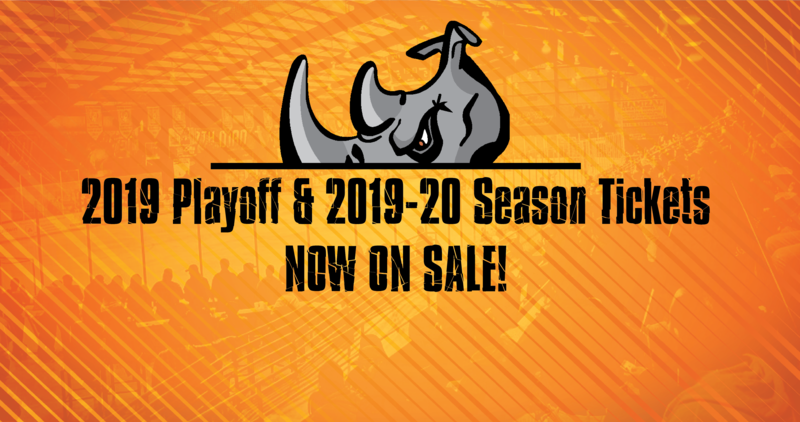 Get your 2019 Playoff Tickets and 2019-20 Season Tickets today! 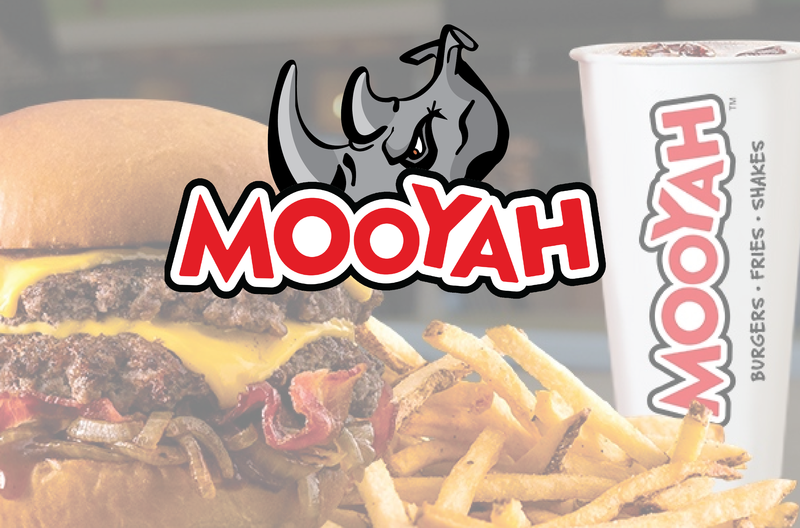 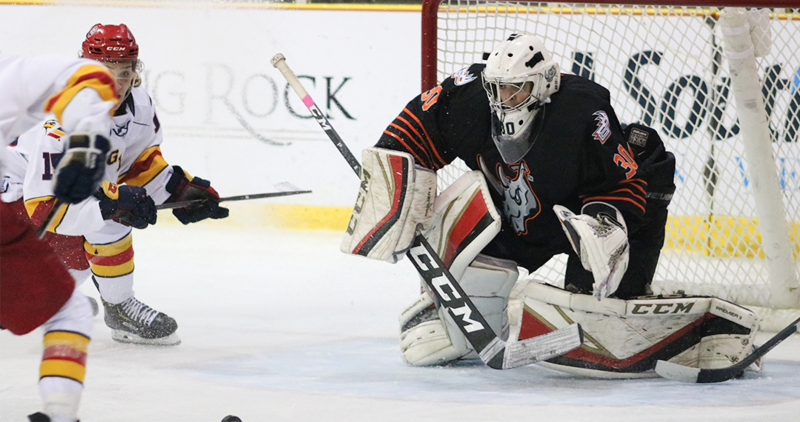 Recently acquired goaltender Richie Parent gets his first shutout as a Rhino in a 3-0 win over the Northern Colorado Eagles on Sunday. 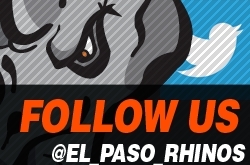 That game three win also means another sweep for El Paso! 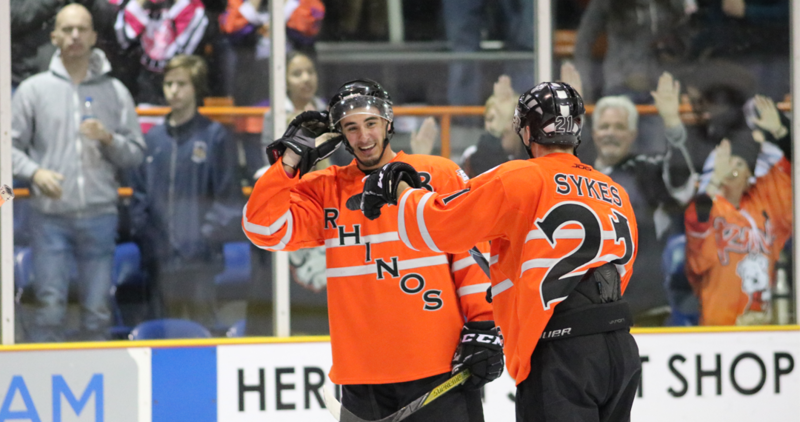 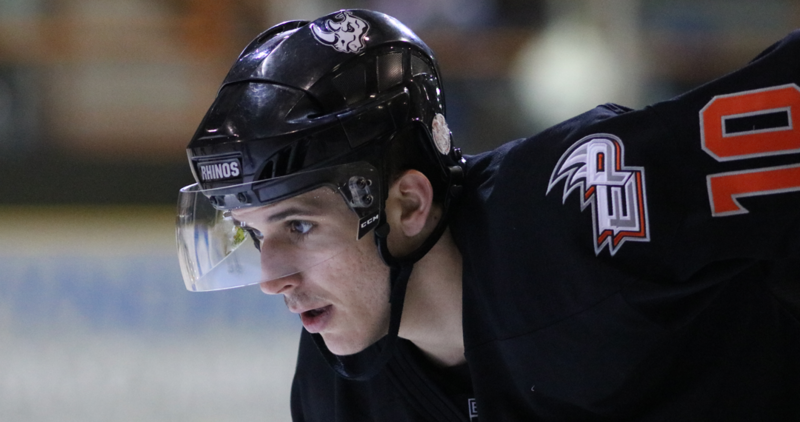 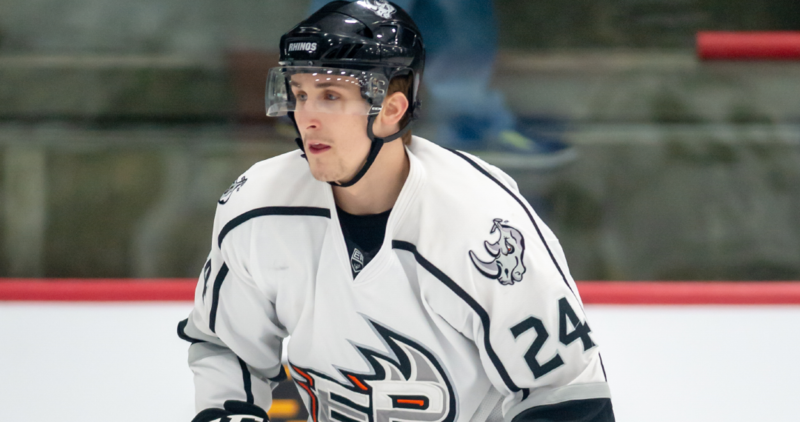 Goals by Alchin, Stalzer, Schultz and Kamper lifted the Rhinos to 4-1 victory of the Northern Colorado Eagles in game two of the series. 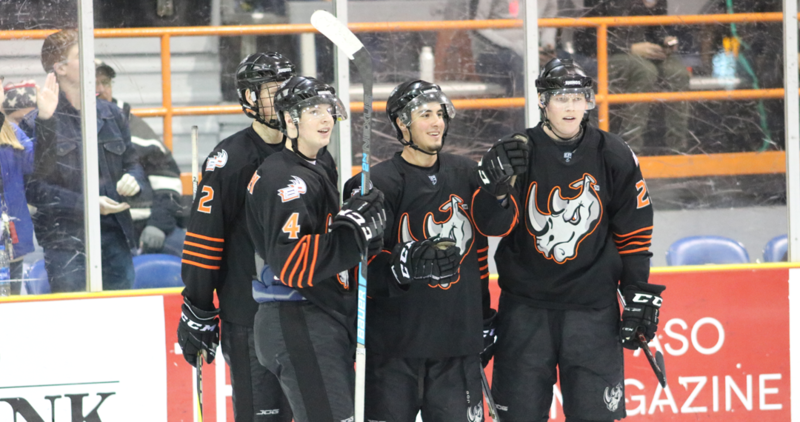 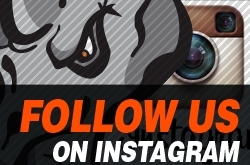 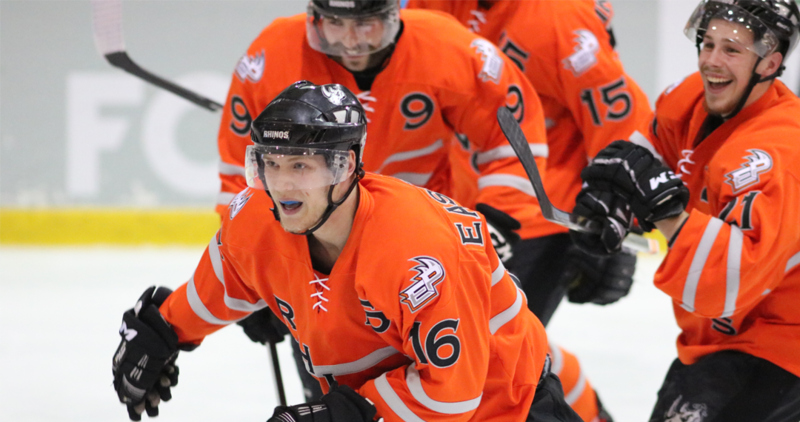 Goals by Manchester, Stalzer and Erdt give the Rhinos a 3-1 win over the Northern Colorado Eagles in game one.